Stop losing your mobile candidates. Users, who access your career site with a mobile device behave differently and you should be ready for them. By applying a few smart tactics, you can catch them all. Mobile internet traffic is on the rise with no plans to slow down. As of 2018, mobile devices account for 52% percent of web page views worldwide –– and your career page is not an exception. A lot of your candidates are browsing your pages with only their mobiles, and they behave and interact differently with your career site compared to desktop users. In this case, it’s time to either adapt or to lose your users. We use Google Analytics to split our career site’s visitors by the type of device used. 23% of our users are using mobile devices but submit only 6% of all the CVs we receive (!!). Mobile users are less likely to apply and that’s hundreds of candidates lost per year. And that’s enough reason to worry. (A research done by recruitment analytics firm Ontame shows, the conversion rate can be even 6x worse on mobile compared to desktop). When you open up a site on your mobile phone, you don’t want to see a miniaturized version of the web page that is super hard to navigate and read. If a site uses a responsive design, the layout, fonts, images and navigation are automatically adjusted to make it readable on the tiny smartphone screen. 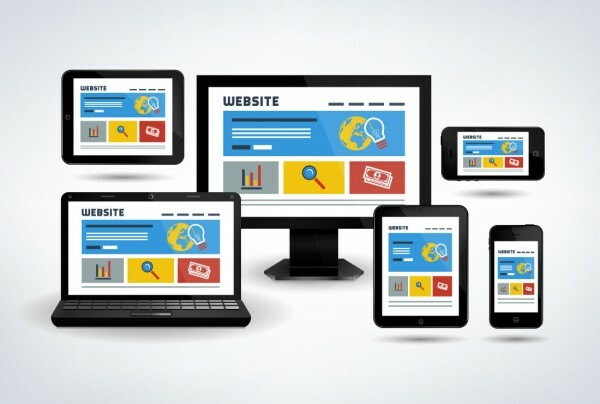 Most websites are responsive but it’s better if you double check it. Just simply open it up on your phone or use a free tool to test all the possible display sizes. Check out responsinator.com if you need some help. Tip – Google rewards mobile-friendly websites with a better search result ranking. Mobile users consume content faster. Facebook reports that mobile users spend an average of 1.7 seconds on a post compared to 2.5 seconds from desktop users. Our statistics show that mobile users spend half the time on the career page than desktop users. You only have one minute to catch a user’s attention, communicate your message, find a suitable vacancy, show the job post and have them apply. Sure, the reality is more complex –some users will return while others will spend more time. But the basic message stays the same: Be quick. Communicate with photos, videos, and infographics. Avoid long blocks of text. Make the content easy to read, go straight to the point, and simplify as much as you can. Having a video on your career page is a great thing. People prefer watching videos than reading – and video traffic grows by 100% each year. 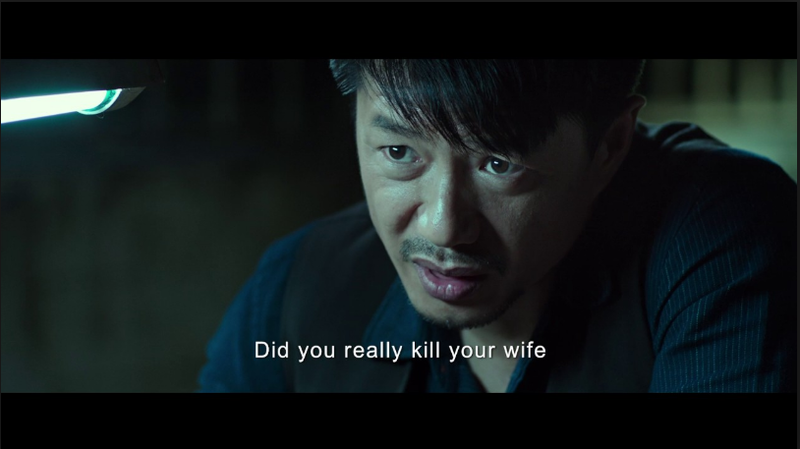 And with all these videos, there’s one thing you shouldn’t miss –– adding in subtitles. Many people silence the audio on their phones or computers. Maybe they’re listening to their favorite song and don’t want to pause it. Or they’re in a public place and can’t be disruptive. By the way, 85% of Facebook videos are watched on mute. It would be a pity to shoot a great video and lose the majority of viewers because you didn’t put in any subtitles. What seems OK-ish on desktops is way too long on mobile devices. This is especially the case for job descriptions. Look at this job post from IBM, that takes 8 screens to read. Pretty ugly, isn’t it? Our stats show that a mobile user spends only 22 seconds on a job advert. How much can a user read in a such a short time? FYI, the average reading speed is around 200 words per minute. Make the advert simple, short, and highlight only the important info. Use bullet points, short paragraphs, spacing and headlines to make it easy to read. Try not to exceed 300 words, which equals to 2-3 mobile screens. 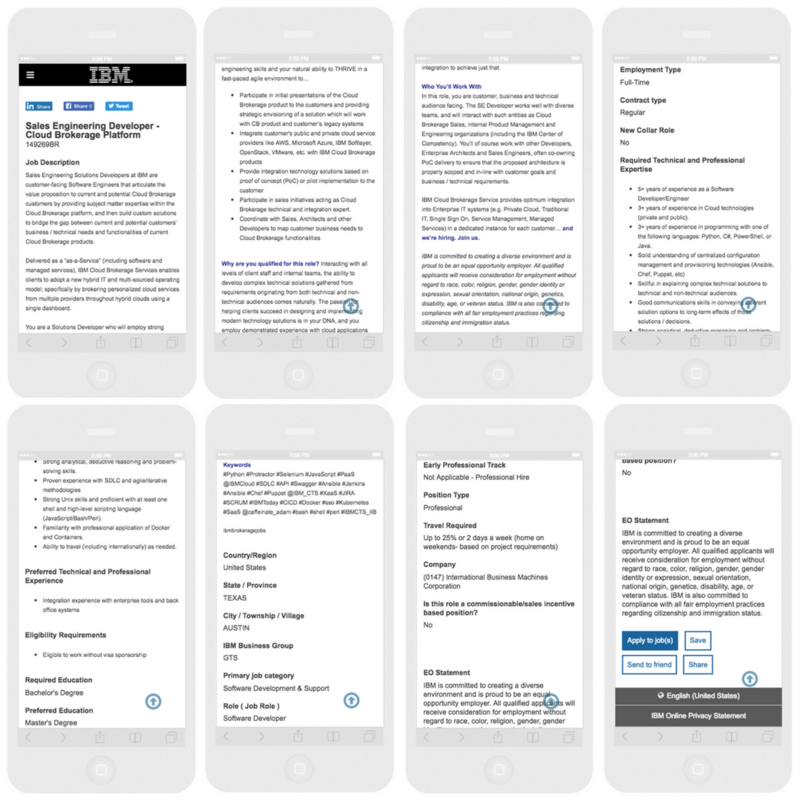 Just for your reference, the IBM job post in the example above had 817 words. To do a quick word count, use this practical Chrome plugin. Have you ever tried filling in an application form with one finger while being in a super crowded subway for example? While every e-shop tries to simplify the purchasing process to a one-click experience, job application forms are still among the worst on the internet. Minimize the number of questions to an absolute minimum (name, email, LinkedIn profile). If you need more info, you can ask them with an automatic email once the person applies. Attaching a CV is pretty difficult with a mobile phone. Most people don’t even have it on their pocket device. Do you? So don’t make it a required field. 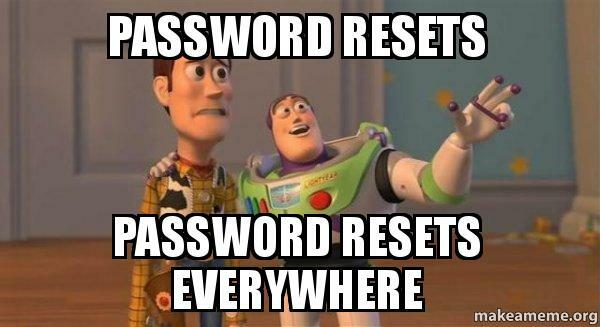 And by far, the absolute worst is asking applicants to create an account before submitting their CV. That’s a sure way to piss off all (not only mobile) users. Chatbots were designed with mobile devices in mind. The use of messaging apps is sharply rising (especially on mobile) and exchanging info with a bot is much easier than navigating through a complex website or filling out a complicated form. I’ve summarized the advantages of recruitment chatbots in this article. For example, you can include the chatbot plug-in on your career site so that your users can decide if they want to browse the standard way (through the web) or find their answers and apply via the chatbot. When you run a Facebook campaign, you will get mobile traffic. Mobile advertising makes up for around 87% of Facebook’s total ad revenue and 47% of Facebook users exclusively access the platform through mobile devices. In our case, 92% of users acquired by a Facebook recruitment campaign are mobile users. Before you run a Facebook campaign, be sure your site is ready for mobile users as explained above. Otherwise, you’re just wasting money. 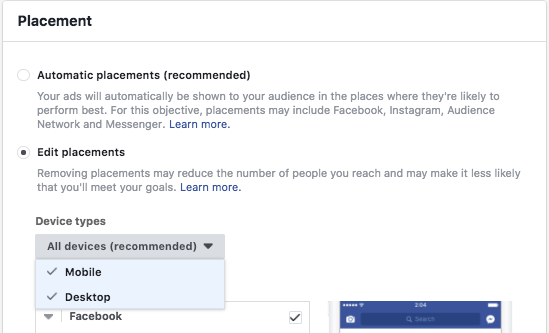 Another option is to target your Facebook campaigns for desktop-only versions. This can be done in the Ads Manager / Ad setting / Placement section. It’s good to just be aware that by excluding the mobile placements, you also dramatically decrease the reach of your ads and the cost per click will thus be more expensive. As always, the best way is to test it out and see what works best for you.